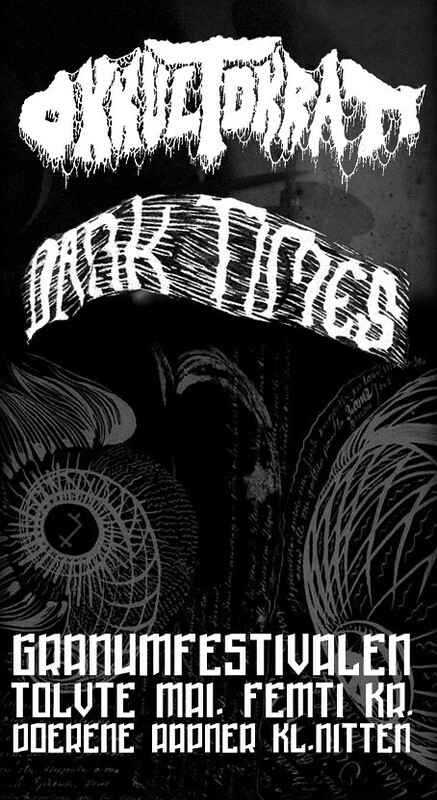 OKKULTOKRATI will team up with DARK TIMES for an exclusive show may 12th at the GRANUMFESTIVAL. Expect lots of new material, and for it to be louder than hells and heavy as fuckxx! Cost is 50 kr. Doors open at 19:00.